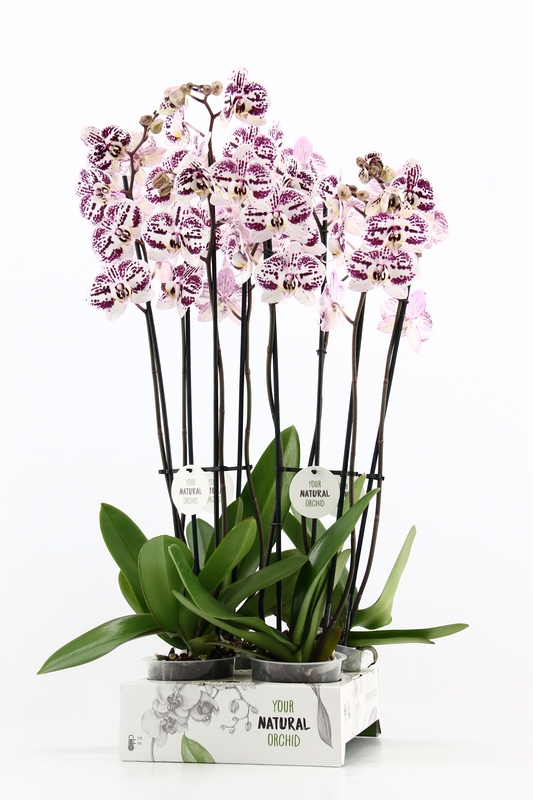 Even ‘Natural orchids’ can be given added value when presented beautifully, turning them into truly eye-catching pieces. To make sure sustainably grown products have that sustainable look. 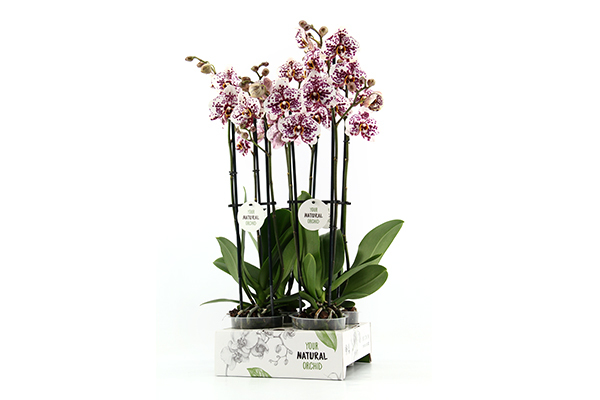 As a result, Stolk Flora developed a 4-hole tray as part of the ‘Your Natural Orchid’ concept. This is ideal for presenting smaller numbers of plants according to variety or colour. 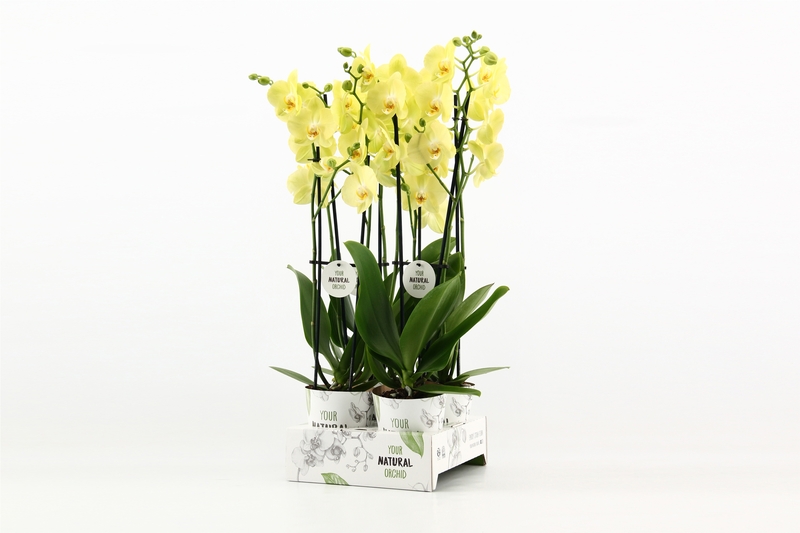 Of course, the new tray has been produced with the same concern for sustainability as with our Phalaenopsis. This is why we chose to use environmentally friendly cardboard, a sustainable material that has a natural appearance. The availability of 4-hole trays means you can purchase in smaller quantities. 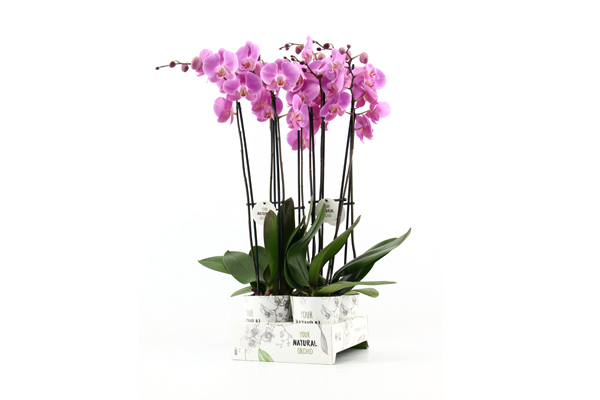 In addition, the 4-hole tray can be perfectly combined with our Your Natural Orchid pot cover. 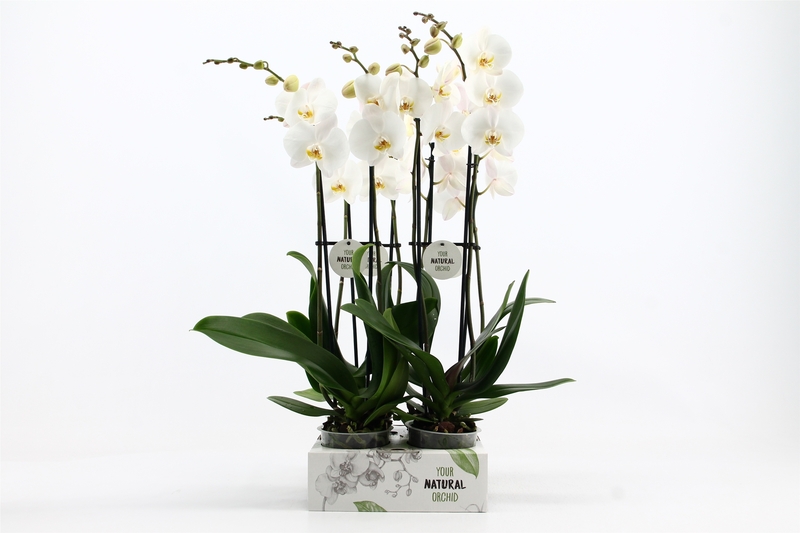 If you are looking for even more variation, you can also order our Phalaenopsis according to variety and colour, or as a mix!